"Service is the highest Duty." 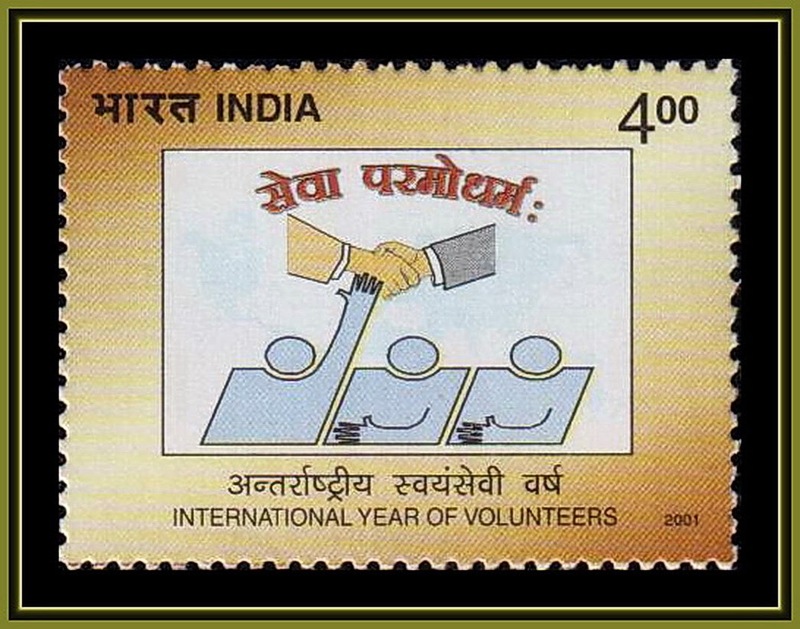 National Defence Academy too has the same motto. 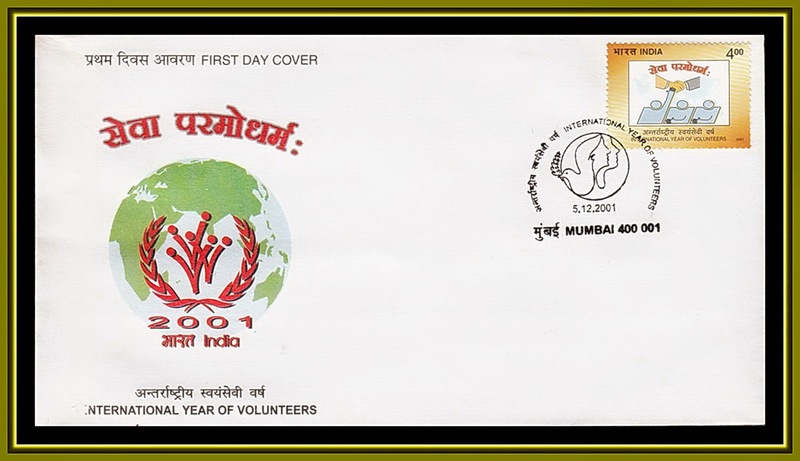 India post issued a commemorate stamp on 05.12.2001 to mark the IYV Year. 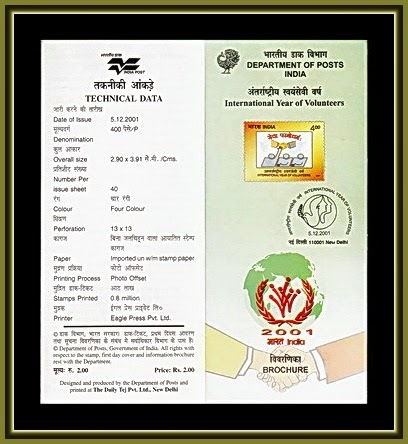 The folder page given along-side gives the technical data for the philatelist.